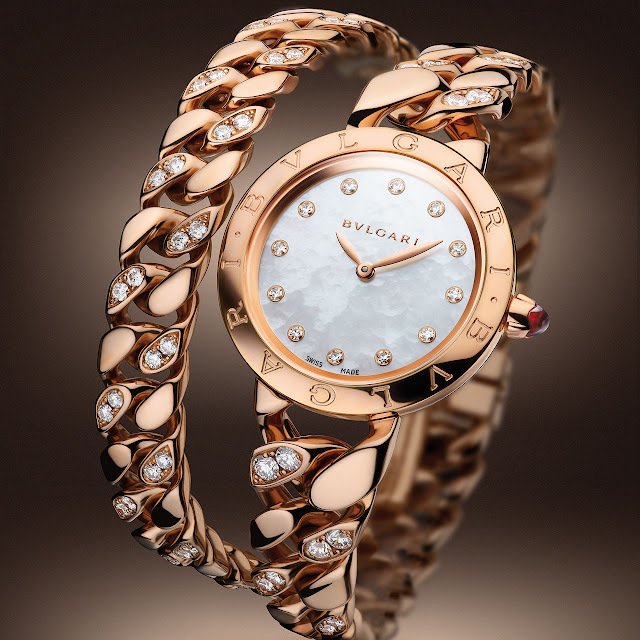 Bulgari Bulgari Catene is as much a jewel as a timepiece, a showcase of watchmaking magnificently sculpted in gold. This most famous of wristwatches bears the hallmarks of the celebrated Italian jeweller whose heritage has shaped each of its new models, including Catene with its chain links. Assembled into the legendary bracelet that coils twice around the wrist, a favourite signature of the brand, they interweave with deceptive simplicity. Each of these links, some set with diamonds, is dazzling proof of the expertise deployed by Bulgari's jewellers and watchmakers. Daring but sensual, elegant but extravagant, Catene gives women a new way to wear time like a second skin. A distinctly unconventional, and so very Bulgari, pink-gold jewel.